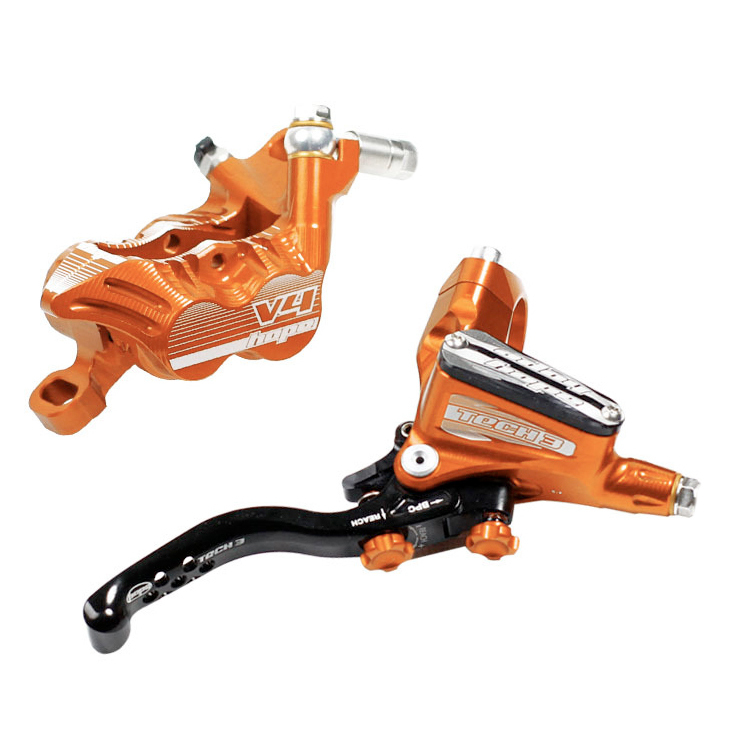 CNC machined out of a single piece of T6 Aluminum alloy, the Hope V4 calipers are outstandingly strong, light, and reliable. They're methodically designed using a practical and ingenious design, it's no accident that Hope is one of the most renowned names in mountain bike braking systems. Paired with the Tech 3 lever that produces more power, better erogonomics, and adjustability, the Hope Tech 3 V4 is an excellent brake for the most serious of downhill courses. 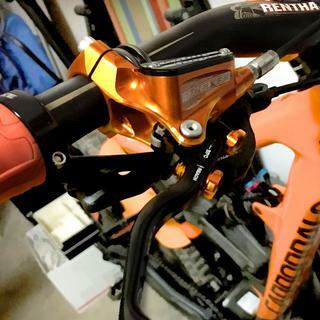 I-Spec A shifters can be fitted directly to the brake levers to save bar space, and are built to fit a range of rotors, depending on your preference. Weighing in at under 350 grams, and anodized for a durable finish, these are as tough as they are technically advanced.